The weather’s getting warmer, it’s becoming harder to scarf doughy carbs and heavy meat laden dishes. Harder, but not impossible. 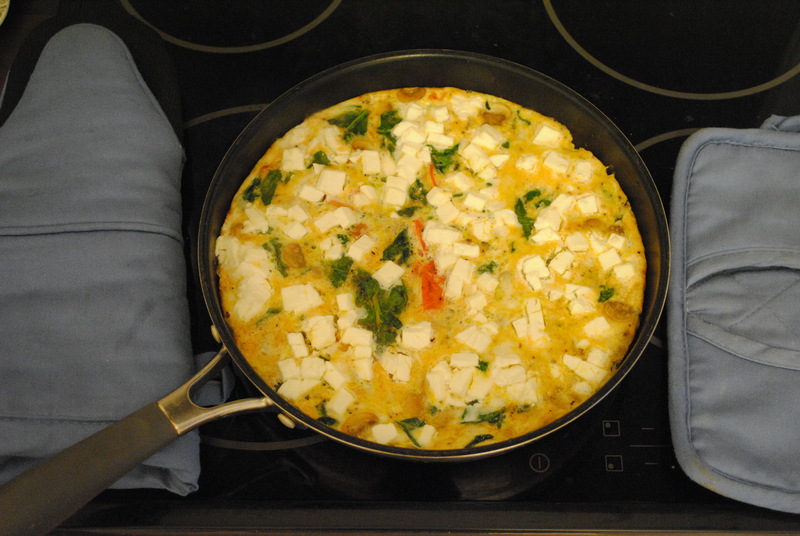 In an effort to appeal to vegetarian friends of the Rav B and make more spring-summer appropriate food, I give you frittata. The great thing about this recipe is you can pretty much use whatever veggies you want – zucchini, onions, broccoli, whatever. And if you’re me, you can add in an obscene amount of cheese and that makes up for the fact that this is a ‘healthy’ recipe. Please keep this in mind when looking at the photos of the finished product- I probably put double the amount of goat cheese I told you to put in it. Heat the oil in a 10-inch nonstick skillet over medium-high heat. 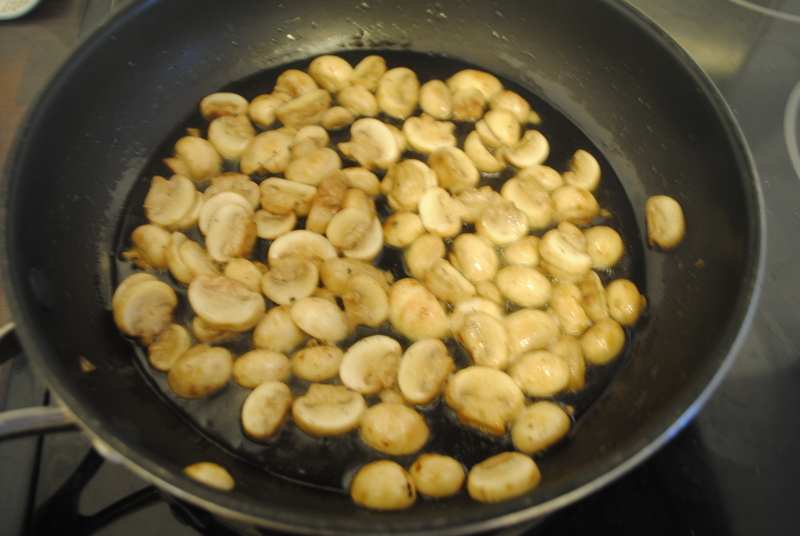 Add the mushrooms; sauté until golden. Add the tomatoes; sauté until tender. 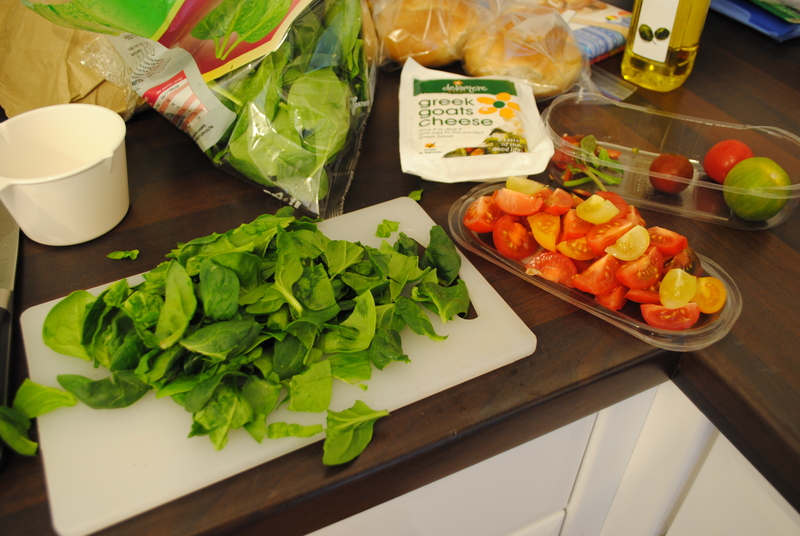 Add the spinach; stir just until wilted. Season with salt and pepper. Whisk the egg whites, and salt and pepper to taste until frothy. 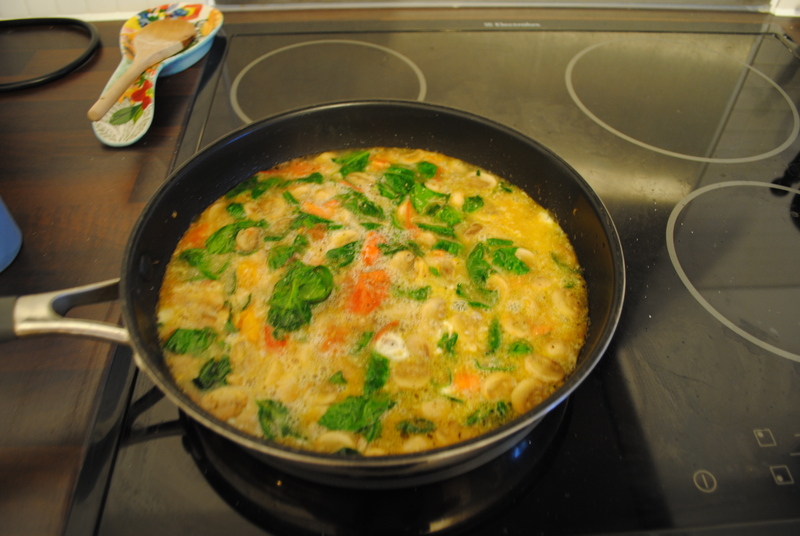 Pour the egg mixture over the hot vegetables in the skillet; stir gently to combine. Reduce the heat to medium-low. 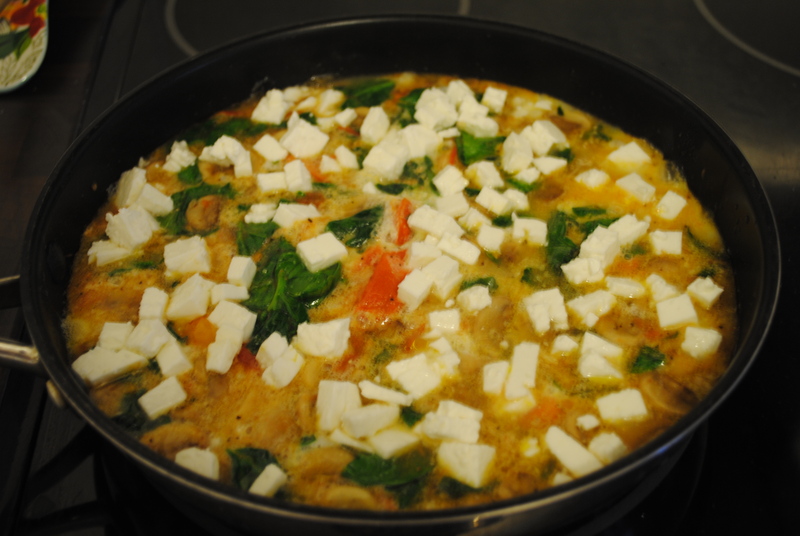 Cook without stirring until the eggs are set on the bottom, about 5 minutes. 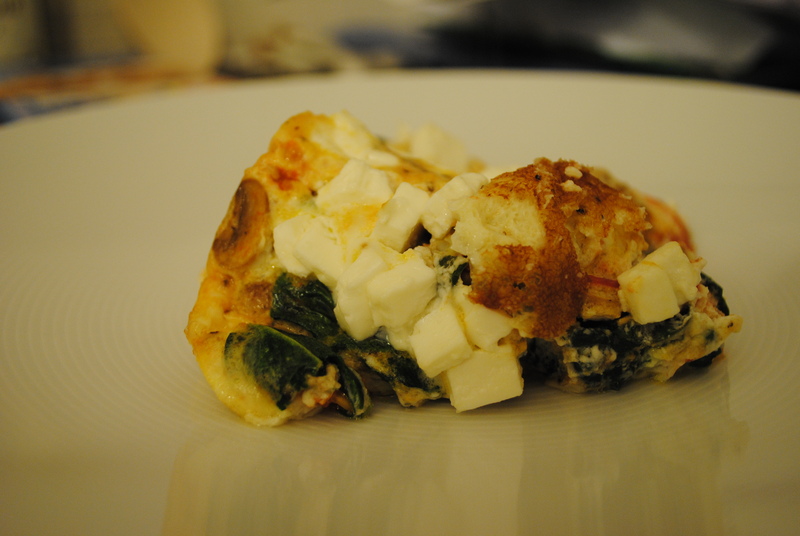 Sprinkle the cheese over the frittata. Broil until the cheese melts and the top is set, 2 to 3 minutes. 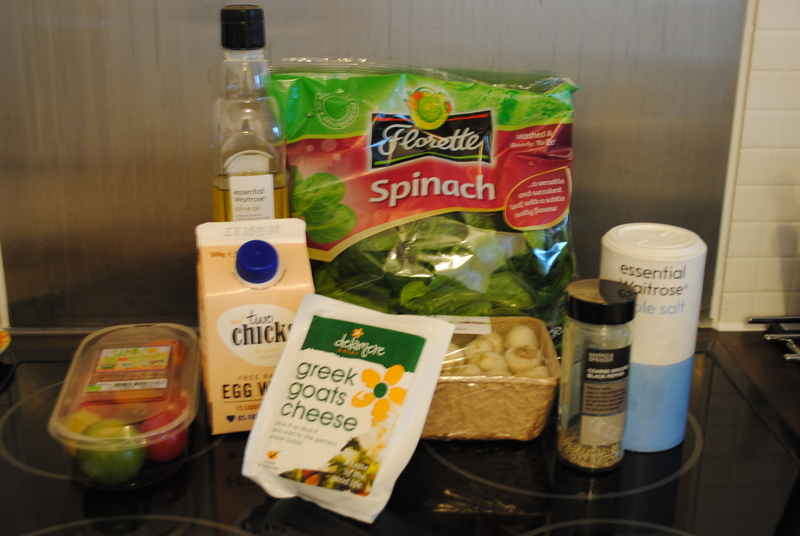 Posted in Home CookingTagged Eggs, Frittata, Goat cheese, Home Cooking, Olive oil, SpinachBookmark the permalink.